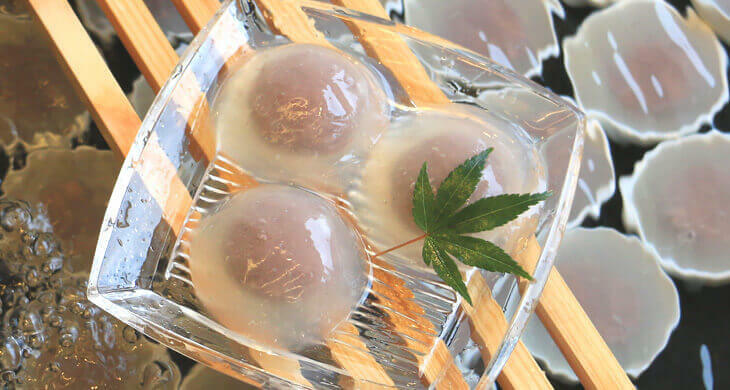 Float Kuzu manju is made with the nuisance-rich Wakasa special product kudzu on cold water sprinkling. Iseya, founded in 1830 still protects such old-fashioned scenery, using cool groundwater that gushes from 30 meters underground. Iseya ‘s motto: “Water is the origin of making sweets”, means even if you take one bean paste, its color and taste are mellow.Thus, we can meet the honest and soft sweetness beloved by drink lovers. Long ago, in the Wakasa district, boys would get bored after graduating from school, while the girls practiced their apprenticeship upward to becoming a maid servant until around the middle of the Showa era. On the 16th day of the New Year and the Bon Festival, it was declared as a servant’s hospital leave, and it was allowed to go back to its parents once every 6 months. In the Meiji era, a rural mother took great pains in making rare souvenirs for her child’s servant and gave handmade Yokan at home, and her husband liked this simple taste very much. It has been told that around that time in Yokan, which the servant take home from Wakasa every year, was called “Detchi Yokan”. Cover the honey and soybean flour, cut it and eat it, so you can enjoy the fresh texture of Kuzu-mochi. There are two kinds of plain ones in which you can enjoy the simple taste of kudzu with black molasses and citrus unshaded with white molasses complementing the elegance of citron. We sandwiched the orange marmalade in a fluffy baked Busse. A slightly sweetness is popular. Because it is a soft dough, it is served to anyone. Put a whole chestnut in a bean paste and see it sandwiched between soft cloth. It was satisfactory to eat and finished in a gentle taste. It is said that when a man visits his wife’s village, he tastes something unforgettable, and the same goes for sweets. A man who asked his wife to go home and prepare the same thing while chanting the food’s name. He would cross the river on the way home chanting “Poi”. This has actually( and unnoticingly) become the basis of the story “Poi to kose”. Just like that, Wakasa was handed down a humorous old tale. The flavors are based on two kinds of sweet potatoes along with Ogura, the nostalgic taste of home. If you get the joke of “Poi to kose”, it seems that you can hear a new Wakasa song. fishing nets are hung on the seaside on a number of tauts and a number of tauts are layered over and over. It is called unpin and the name of the cloud beach still remains. 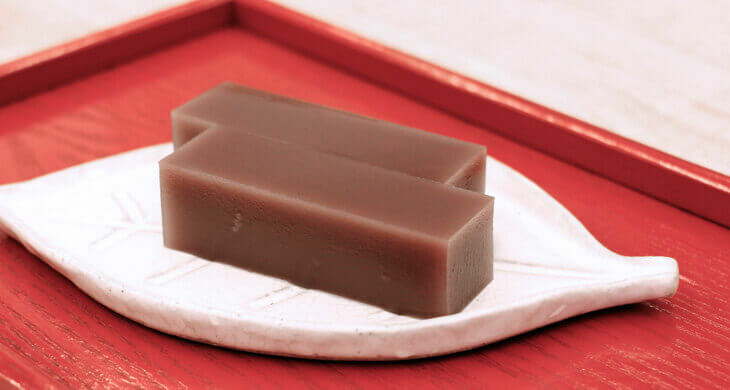 In our shop, we examine the monk-style confectionary “Kumonohana” which is a rough version of the taste-oriented nature inspired by the unpin. Coffee, sweets that can be used for tea, are widely received from everyone. It is also recommended for souvenirs and gifts. You can enjoy boxed items filled with colors of Iseya confectionery as either gifts or for your own home.